In high school, Dylan Best was known for two things: great hygiene and hearthstone. But one night during a strange nor’easter, he was struck by a bolt of lightning and lost both of these skills. Instead, he gained the power to dominate on the ultimate field. Beginning in Sharon, Mass., Dylan played ultimate for his high school and spent the summers playing for the youth club team BUDA. He decided to go to the University of Pittsburgh where he grew as a player and gained important leadership skills. In the summers, he helped coach his former youth team while playing club in Pittsburgh – with the Haiders and Slag Dump – for his first three years before playing for Boston Dig this past summer. This season, he is captaining Pitt. He is a great player and a great teammate. His ability to lead by example and provide a contagious positive attitude make him the ideal player. Dylan is an incredible asset on the field. He is a lock-down defender and has the offensive skill and mind that allow him to be dangerous anywhere. Senior cutter “Stanky” Dylan Best, AKA DB, AKA Dave, hails from the great city of Sharon, Massachusetts. As a young lad, he honed his ultimate craft as a star of Sharon High School, as well as the famous YCC team, BUDA. However, he did not play in 2015 when BUDA won YCCs. Instead, as an assistant coach, Dylan was spotted holding up a small basketball hoop for BUDA players to “dunk” on one another after scoring a goal. As a club player, Dylan played for Boston Dig, the 2016 Club Nationals sweetheart who upset GOAT in the game-to-go at regionals and went on to take Sockeye to universe only to not huck to Jeff Babbit for the win. 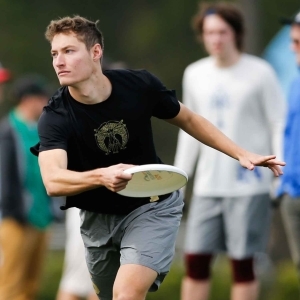 While Dylan’s numerous accomplishments on the ultimate pitch establish him as a potential breakout player this upcoming season, he was certainly knocked down a couple pegs when former Callahan winner Dylan Freechild posterized him in the finals of Stanford Invite in 2015 (https://www.youtube.com/watch?v=AIy-JNX50pw#t=1h14m28s). When he happens to be more successful, Dylan operates as a crafty cutter, getting open at will and subsequently tossing dime ball hucks and silky smooth break throws to his teammates. Dylan causes a brutal matchup for opposing defenders, constantly chopping up their ankles with his cuts. Outside of ultimate, Dylan is an accomplished Hearthstone: Heroes of Warcraft player. His character, mousethecat, was nationally ranked in what battle.net calls a “fast-paced strategy card game that’s easy to learn and massively fun.” In June 2016, mousethecat was ranked as high as tenth in North America, according to heroprogress.com. While one can watch plenty of DB on the ultimate field through full games on Youtube and highlight reels, one can also watch him play a Hearthstone match. Broadcasted live with commentary and later posted to Youtube, mousethecat took on a formidable opponent known as Hotform in the second match of the American Summer Preliminary Tournament. Did mousethecat prevail against Hotform? You’ll have to watch for yourself (https://www.youtube.com/watch?v=rGSSTuMYeeU). Overall, Dave is an excellent role model, an incredibly talented ultimate player, and a hilarious guy. Although he sometimes interjects midway through conversations, he typically offers an insightful and oftentimes comedic addition. Dylan can usually be found hanging with his best bud, Jimmy Towle, not cooling down after track workouts and practices. In case you were wondering, Dylan wore an orange vest and bowtie with no jacket to his senior prom. As one of the first players to ever come to the Pitt Ultimate program from Massachusetts, Destiny is unique both for his geographical background and his ability appear attractive to intelligent women. Best, who played at Sharon High School, joins a strong lineage of Jews that have come through The Program here at Pitt. Despite being a member of the Chosen People, Best’s nickname Destiny has no religious connotation. In fact, he has no idea what it means. Coming into tryouts at Pitt, Destiny wasn’t really sure what to expect. He knew great players would be there, but he also knew he had never seen much of the team’s most well recognized names play in person. Just about all Destiny knew coming into tryouts was that he was going to have to work hard to play with them. Trent Dillon says Destiny stuck out at tryouts for his ability to get big layout d’s and make some big-time plays in the air. “He also showed good footwork and a strong ability to become a good defender,” Dillon added. The word on the street is that although Best is a quiet kid, he tends to open up when you catch him at a party. In other words, if he’s not talking much, just give him a beer. Also, he stays motivated on the track with a high dose of Miley Cyrus. His most recent Facebook status, you ask? Dylan earned the team’s nomination this year because he is a great player and a great teammate. His ability to lead by example and provide a contagious positive attitude make him the ideal candidate. Dylan is an incredible asset on the field. He is a lock-down defender and has the offensive skill and mind that allow him to be dangerous anywhere.